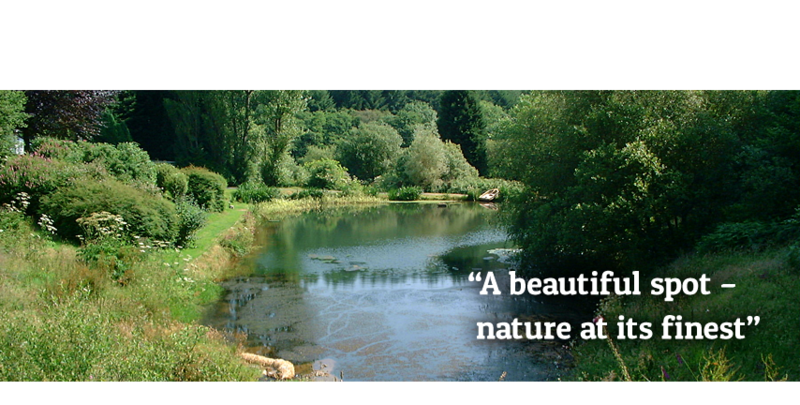 Set in the beautiful Exe Valley countryside near Devon and Somerset, Belbrook Valley Trout Fishery not only offers unforgettable fishing breaks, but also has the facilities for you to holiday with your horse, and take in some of the sights that Devon and Somerset have to offer. We can provide comfortable holiday accommodation both for you and your horse, and you can take the time exploring the surrounding area to your heart’s content. The fishery is located within 40 acres of Devonshire countryside, and we’re happy to suggest the best routes, paths, and trails for you and your horse to enjoy across Somerset and Devon. Our equestrian visitors are always amazed by the tranquillity and privacy of the fishery, and this makes it the perfect place to take your horse on holiday, and out on a hack to take advantage of the UK countryside. We are in easy proximity to riding schools, stables, and incredible beaches, as well as plenty of natural hills and country trails, so are perfectly placed for you to fine-tune your equestrian skills. With relaxing self-catering holiday accommodation for you also, you can enjoy a peaceful stay in your home away from home, without having to leave your horse behind. Our equestrian holidays offer a chance for you and your horse to spend time exploring the great outdoors, at competitive rates! Non-riding guests can also take advantage of the other holiday attractions that surround us here at Belbrook; with easy access to castles, country sights and National Trust buildings, there is something new for everyone to discover here on the border of Devon and Somerset. Get in touch to book your equestrian holiday at Belbrook Valley Trout Fishery, we’re happy to welcome you and your horse to explore everything that we have to offer, with comfortable accommodation for you both.